J.L.G. 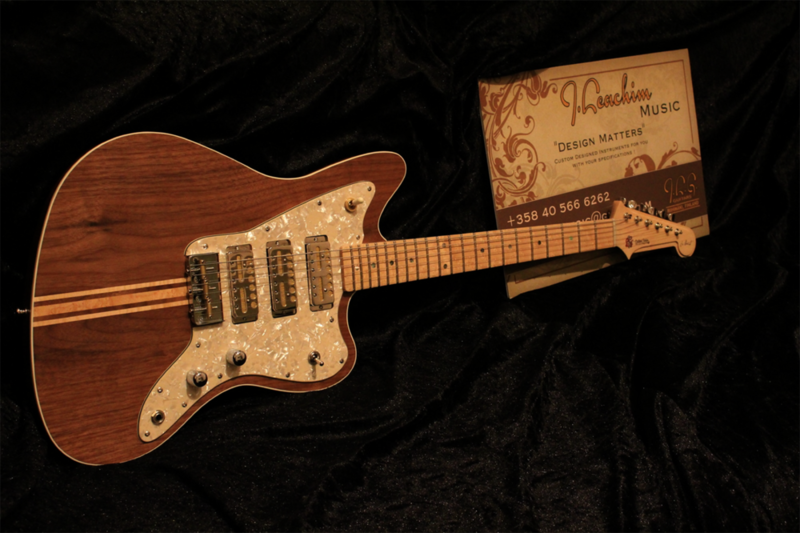 = J. Leachim Guitars is part of J. Leachim Music Company. Ideology of the J.L.G. Guitars is to make totally unique vintage looking and sounding instruments to customers which are fabricated by utilizing modern techniques and technologies like CAD (in design) and CNC for machining. This ensures that all wooden parts are always in measure and same in every order. This saves times, which saves costs. Our corner stone for everything is our Slogan "Design Matters". Every custom project starts which design and every guitar which is fabricated by us, will have something unique. Uniqueness can be customer logo, color combinations, special HW, special leather strap, etc. "Design Matters" slogan is not limited only for the outlook, it's in every part we include in guitar. Every component is designed to fulfill customers idea, music and playing style, this ensures that customer gets instrument which fits to him/her perfectly. We also take care designing controls if customer have any disabilities to use normal controls and so on.